What things do you do to save money every day? We asked our readers to provide their tips. Read the best responses. Spending Smart is a weekly series designed to help you stretch your dollars further in these uncertain times. Each Sunday we'll feature a new article. Finance writer and Today show contributor Jean Chatzky took reader questions. Bankrate offers these tips to cut spending and save this year. This campaign is trying to help Americans pay debt and build wealth. Bankrate's handy budgeting calculator helps you allocate your income. Prepaid phones, with a set number of minutes, are becoming more appealing as careful budgeting becomes paramount in a tight economy. So ... how much am I paying? Can this garment be saved? The latest advances in camera technology allow high-definition video cameras to record video onto tiny SD flash memory cards. The Globe found five useful gift ideas that serve as a reminder that your mom is cool  even if she does crank Celine Dion on her iPod. Americans who retreated from the stock market during the recession are slowly making their way back. Here are some tips for rebuilding your portfolio. During a recession, a second television may not be a priority. As the economy recovers, though, buyers might find a little extra money to splurge. Buying a car can always rev up some angst. But buyers today have to navigate a choppy sea of car recalls and mea culpas from automakers. First-time home buyers looking to take advantage of the low-interest loans and federal tax credit should consider costs beyond the purchase price of a home. A lot of people still think the best way to see their photos is to run a memory card to the corner drug store and wait for prints. That isnt the case anymore. Pocket cameras have experienced a meteoric rise in popularity over the past two years.They're inexpensive and make shooting high-definition video easy. Your desk says a lot about you. From the color to the size to the material, your workspace can be an extension of yourself and your own personal taste. The latest compact systems have enough computing power to make you think twice about buying a traditional tower PC. Heres a short list of potential red-flag items that taxpayers should keep in mind while filling out their 2009 returns. In tough economic times, budget-tracking websites help give users a sense of where theyre actually spending their money each month. Looking to clean up your inbox, delete old address book entries, cut down on spam and find a better free e-mail provider? Several Web gurus offer advice. Since Shawn Fanning created Napster while he was a student at Northeastern University in 1999, Boston has been a nexus of digital music downloading. Want to find out if the luxury hotel you booked for your vacation is as pristine as it looks in pictures? Listen to the people who've stayed there. Staying fit doesn't have to mean breaking the bank with pricey gym memberships. Money management is the most common resolution for 2010. But for financial resolutions, one size does not fit all. Getting an advanced degree with classes over the Internet can help some balance work, school, and family. For others it is just a better fit. Outraged by retail prices, I logged onto eBay, my favorite place to shop for accessory bargains. There are options, including an offering from Amazon. Trying to throw an inexpensive New Years Eve party? Scratch the Pabst and Doritos theme and plan a swanky soirée. The tight economy is not reason enough to skip tipping. Nancy Mitchell, of Etiquette Advocate, suggests a token of appreciation and a handwritten note. Savvy shoppers can find the perfect engagement ring without draining their bank account. Here's how to save. Is your car shod for winter? The onset of winter weather makes many drivers aware that they're driving on four bald tires. Shop around this season to make sure you don't get taken for a ride. As more and more people turn to faster wireless networking, the router you used back in 2001 won't cut it anymore. Business travelers cringe at this scenario: You're called to a last-minute meeting in another city, and you're on the next flight out of Logan International Airport. Even with Hulu, YouTube, and iTunes bringing programming to your computer, sometimes it's just nice to be able to tune in to your favorite channel. Where you buy has a lot to do with how much you'll pay - and how confident you can be in your purchase. Buying new eyeglasses doesn't mean you have to blow through your paycheck. There are good bargains out there for thrifty shoppers who want to see in style. So, you have your 50-inch plasma television, Blu-ray video player, and high-definition cable. But what about the sound? That's where soundbars come in. Hard-core cooks sometimes spend lots of money on kitchen toys. But those gadgets can blow a budget. These lower-cost substitutes can often fit the bill. Financing is available in a recession, but securing it can be tricky. Here are tips for getting cash your small business needs after savings accounts are tapped out. Netbooks are all the rage these days. For half the price of a regular laptop, you can buy an ultra portable, ultra small netbook that does the job nicely. Braintree-based firm NuVal calculates the nutritional value of foods and beverages into easy-to-understand scores by examining more than 30 nutrients. You know about radio and CDs, satellite and MP3s, but did you know the biggest music selection is streaming over the Internet? And you can hear it all for free. How do you sort out the loans, grants, and tax incentives that could make midcareer schooling affordable? Studying up before a visit to the auto repair or oil change center can cut consumers' costs and frustration. Bargain-hunters can find cheap, used computers up for grabs at Internet auction sites and flea markets. By the time you buy a printer, a scanner, and a fax, you'll start to see that an all-in-one device can be more efficient. The way we store our vital personal data and downloaded media has evolved faster than arguably the computer, itself. During a time of recession and high gas prices, buyers have more options of fuel-efficient vehicles than ever. Cash-strapped college students looking for discounts without the hassle of coupons and mail-in rebates can tap into a website to score exclusive deals with merchants. For businesses that can't offer monetary perks, there are other cost-effective ways to improve worker productivity during the summer months. Consumers who want a new cellphone, flat-screen television, or iPod every six months to a year can get them from TechForward Inc. When we looked into switching cellphone companies recently, we were soon drowning in options. In this economy, one market that remains jam-packed with shoppers is the flea market. And there is no shortage of vendors and hagglers in Massachusetts. Like many of you, we are scrambling to downsize our lifestyles. Peter J. Sander offered professional help at whittling away extra costs. Audio companies lining up to push their products as alternatives to the white earbuds that come with your iPod. But are they worth it? Get on the computer and buy with friends - or even strangers - and receive deep discounts on local products and services. Garage sale season is upon us. Time to surf the Web. Auction sites and online marketplaces give sellers a way to unload unused items. Staying current on maintenance, paying attention to spending, and making small changes to your driving habits can help keep costs down. To entice price-conscious diners, fast-food joints to high-end establishments are now offering promotions that would have appeared almost extreme a year ago. When the tough economy forces families to find ways to save money, the telephone bill can be one of the most vexing places to look for cost savings. Is your high grocery bill getting you down during this recession? Here are five ways you can cut back on food spending. Don't have extra cash to give to charity during this recession? You can still donate your time. When you're shopping for a wedding dress, don't forget to look for second-hand finds. When shopping for an iPod docking station, look for strong midrange output and avoid the extremes. You can dress chic, and still be cheap. To prove this point, the Globe went on a shopping spree at the local Goodwill Outlet Store... and scored. Several computer programs allow you to learn a foreign language at home, but choose that program carefully. 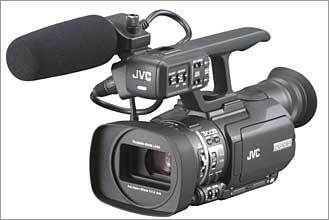 Affordable, hand-held digital camcorders are now common, but fancier videocams deliver a wealth of options. If your social life is taking a toll on your budget, these five ideas can help you entertain at home on the cheap. Four monitors offer something for everyone - but how many bells and whistles do you need? Former economist economizes at home, earning the title of most frugal New Englander. You have to do your taxes. The question is how are you going to get them done. These programs can take some of the pain out of preparing your tax return. For the last day of the series, we leave you with a clip-and-save list of 25 things you can do to save money, including some great tips from readers. Want to find out whether "Slumdog Millionaire" deserved all those Oscars? Is Kate Winslet all that? Here's a guide to how to pay less for a visit to the cinema. Coupledom is often a day-and-night exercise in sharing, whether it's splitting bills or DVR space. But for some lovebirds, sharing a life also means sharing apparel. The art market is resetting itself after years of virtually unchecked growth. That means works once snatched up immediately are now available. You won't see Zdeno Chara taking a slap shot or Randy Moss leaping over a defensive back. But you won't feel guilty about buying a bag of peanuts. Do I really need a landline since I'm always on my cellphone? That's a question on a lot of minds these budget-cutting days. Discuss Have you dropped your landline? These days the price of prescription drugs can seem harder to swallow than the pills themselves. But generics and mail order can help you save. As fitness centers struggle to hold on to customers in the down economy, members can - with a little work - negotiate better deals for themselves. Who wants to go first? Not me. When the next new thing in consumer electronics comes along, I step aside for the teenage geek with the broken piggy bank. True love is priceless, but in these tight economic times, romance is subject to a budget. Here are 8 great dates that cost around $40 total. If you can't afford your medical bills, you can, and you should, negotiate directly with the billing department of a hospital or clinic to have your bill discounted. If there is a sliver of sunshine peeking through the storm clouds of this recession, it may be: There might never be a better time to travel. Your 401(k) plan is bloodied, the Dow keeps diving, and you're wondering what to do next. Forget about wealth. Right now, we'd happily take survival management. If you've gotten a letter informing you that your credit card company has jacked up your rate, think twice before you cancel the card. Even after Valentine's is over, plan a romantic day with some tips on saving money without losing the loving spirit. The challenge was simple: Cook a good meal for a family of five, and spend no more than $10. It might not have a built-in iPod adapter, or even, in my case, a CD player. But an old car can offer something a new car can't - low costs all around. In this downturn, we're not just losing jobs. We're working longer hours, having our wages frozen, and taking pay cuts. Discuss Have you had to take a second job? There is a way to have baby-sitting and a cheap night out. It just requires a little effort, ingenuity, and some community spirit. How can you scale back on your wine costs without sacrificing quality? Here are some tips, such as attending wine tastings to figure out what you like. Point. Click. Bank. And save. Save money and avoid annoying fees with online banking, which also makes it easier to shop for better rates and incentives that earn you cash. Home gardeners who plant lettuce and other vegetables can save more than $400 per season over grocery prices. Going to a performance by Buffalo Tom leader Bill Janovitz (above) is one of many things you can do for free in Feb.
Knowing that cable companies are desperate to hold on to customers, it may pay off to hit the phones. Discuss Have you tried to lower your cable bill? Jeff Yeager, a former chief executive with various nonprofits in Washington, D.C., launched his career as "the ultimate cheapskate" five years ago. Each year, in January, our first serious winter heating bill arrives. It is not a happy day. So naturally, I was eager to sign up for an energy audit. With online grocery-delivery services, you're less likely to buy items you don't need. talk What do you do to save on groceries? A Massachusetts Insurance Federation survey found that 3 in every 4 drivers hadn't sought better deals.